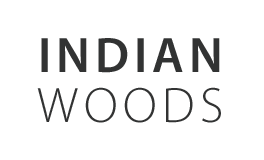 Indian Woods Condominium located in Canton, Massachusetts is a community of fifty-six, two bedroom condominium homes, which abut a natural, serene conservation area. Residents enjoy a lush landscape with walking trails, a vibrant children’s play area and gazebo. Each condominium home has an attached garage and additional parking on-site. Enjoy private outdoor living space on your deck or patio and we even allow your favorite furry friend to be part of your living experience (guidelines apply). Tucked away in the quiet country, Canton does offer you some big city conveniences – shopping, dining, golf courses and other recreational offerings, Commuter Rail transportation (just over a mile away) and easy highway access. Pets must be registered with the Management Company. Pets on any Dangerous Pets List are not permitted. No pet can weigh more than 35lbs. at maturity. There is a limit of two (2) domestic pets per Unit. Pets in common areas must be kept on a leash and be accompanied by an adult physically able to control the animal. Persons walking pets cats in common areas must have in their possession and must use a means to clean up and dispose of excrement in a sanitary manner. Any pet which endangers the health and/or safety of any person or which consistently creates a nuisance shall subject the owner to enforcement action.